Dr Wendy Ng is a Senior Lecturer at Melbourne Law School, where she is the Deputy Director of the Competition Law and Economics Network and an Associate Director (China) of the Asian Law Centre. She completed her undergraduate studies (LLB (hons)/BCom) and PhD at the University of Melbourne. Her PhD was awarded the University of Melbourne’s Chancellor’s Prize for Excellence in the PhD thesis and the Melbourne Law School Harold Luntz Graduate Research Prize for Best PhD Thesis. Wendy also has a LLM from Columbia University. 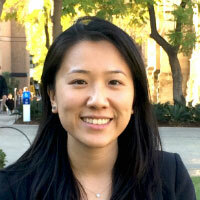 Wendy researches on competition law, focusing on China, international and comparative, and political economy issues. Her book, The Political Economy of Competition Law in China, was published by Cambridge University Press in 2018. Her research on Chinese competition law and competition advocacy has been published in international journals and edited collections. She was also awarded the 2015 Gaire Blunt Scholarship from the Business Law Section of the Law Council of Australia for research on the independence of competition agencies in China. Prior to joining Melbourne Law School, Wendy worked as a lawyer at leading international commercial law firms in Melbourne and New York and as a lecturer at the University of Adelaide. She has also worked with the Australian Competition and Consumer Commission and other development partners to support the introduction and development of competition law and policy in South East Asia.